Woolworths has had another win in the supermarket wars, taking an increased share of the total grocery market in the 12 months to December 2017. As measured by Roy Morgan Research, in the 12 months to December 2017, Woolworths had a 32.2 per cent of the total grocery market in Australia, a 0.8 per cent increase on 2016 results. Woolworths’ competitor Coles only increased its share by 0.1 per cent to 28.8 per cent. Aldi had a successful 12 months, increasing its market share by 0.8 per cent to 12.1 per cent of the total market. Woolworths, Coles and Aldi now account for 73.1 per cent of the entire market, up 1.7 per cent on 2016 results. IGA lost 1.1 per cent of its market share, dropping down to 7.4 per cent. 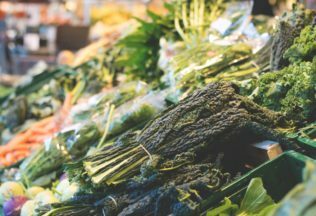 Roy Morgan’s study found that when it comes to the fresh food market alone, independent retailers such as butchers, bakers and fruit shops have a larger share than any of the major supermarkets. Woolworths is however leading the way when comparing the supermarkets only in fresh food share, taking 26.7 per cent share of the market. Reflecting on the study, Roy Morgan Industry Communications Director, Norman Morris, said the recent announcement by Wesfarmers to demerge Coles is likely to result in increased pressure in a highly competitive $100b plus grocery market. “When Coles becomes listed on the ASX, it is likely to lead to increased analysis and pressure on their financial results and the obvious comparison with Woolworths,” Morris said. “Woolworths currently appears to have an edge over Coles but both are facing increasing competition from Aldi and the arrival of others including Kaufland and Lidl that will put even more pressure on this market.